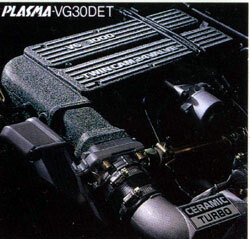 The engine that have been chosen for the Nissan Leopard and Infiniti M30 belongs to the VG series. VG engines come in many platforms from Cedrics, Cimas and Glorias to Nissan Patrols, Pathfinders and Xterras to 300zx and Maximas. In America, the Infiniti M30 only received the VG30E. In America, tuning of the VG motor came in the way of the Z31 300zx. Below is some history and information about the VG motors. 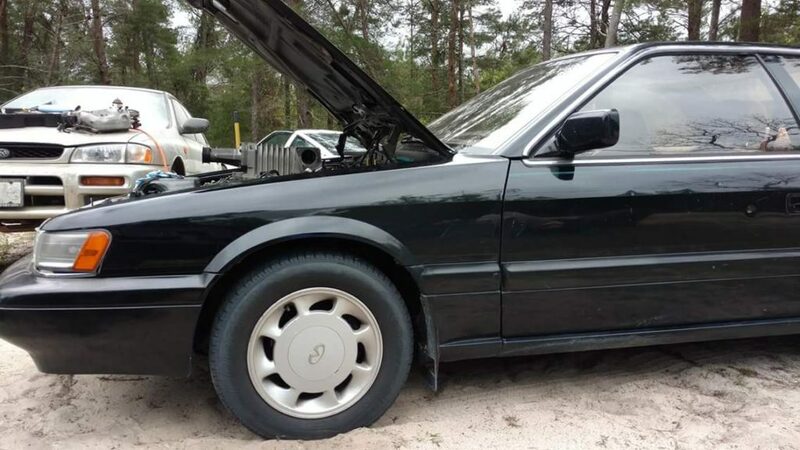 VG20E – The Zenki models from 1986 to 1988 (XJ and XJ-II) had the option for a 2.0L 60-degree V6 with a single overhead cam, 30-degree offset crankshaft, and two valves per cylinder. 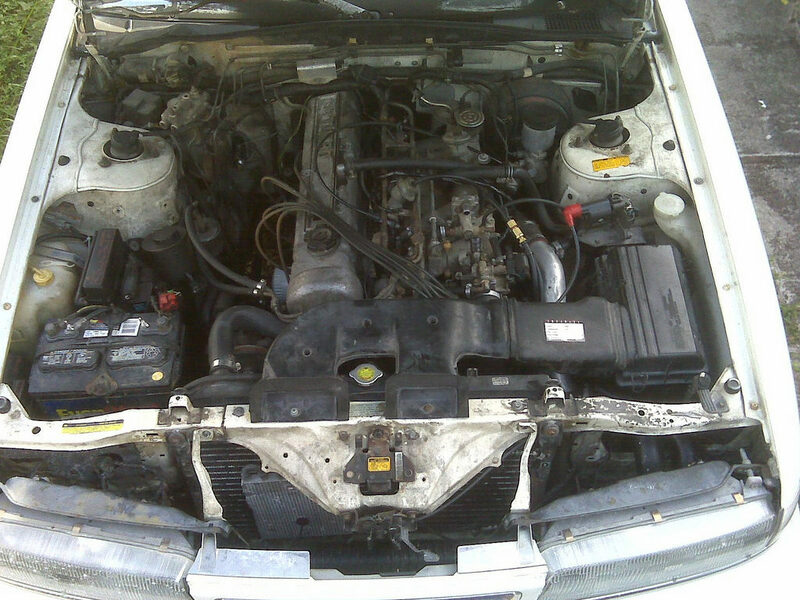 This engine debuted in the Y30 Cedric and Gloria in 1983. The maximum output for this motor came out to about 115HP (1PS = about 1HP). VG20ET – This SOHC motor debuted at the same time as the VG20E. Also coming with the Y30, this motor was known as the “Jet Turbo”, and came with the Leopard models XS, and XS-II Grand Selection. Contrary to the VG30ET that came out in the US, the VG20ET came with an intercooler to push the horsepower output to 155HP, a great jump from the normally aspirated VG20E. The turbo included with the VG20ET had two different settings. At low speeds, the turbo’s flap (wastegate?) would stay closed improving the response at low RPMS. At high speeds, the flap would stay open, decreasing resistance and increasing exhaust flow. At its maximum flow, the flap would open at an angle of 27-degrees, while the A/R ranged from 0.21 ~ 0.77. Being that the VG20ET had a short stroke (78×69.7mm), it was thought to have insufficient low end torque. Nevertheless, the VG20ET was a great improvement over the VG20E. VG30DE – The Ultima and Ultima Grand Selection models came with the VG30DE option. 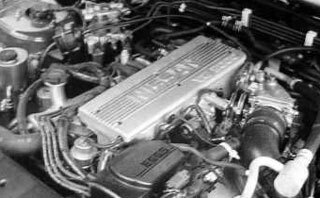 This twin cam motor was debuted in the Leopard before any other car in the lineup and was known internally with the code “EG1.” With the VG30DE, Nissan was able to create an engine with much greater power potential over the SOHC VG20E/T engines. One reason for the increased output was the fact that it employed four valves per cylinder, rather than just two. Also, the ignition system was revamped with an all new high tech system called NVCS and NDIS, which ignited the cylinders more efficiently then ever before, increasing the power output. It is thought that this technology was taken from a rival company. 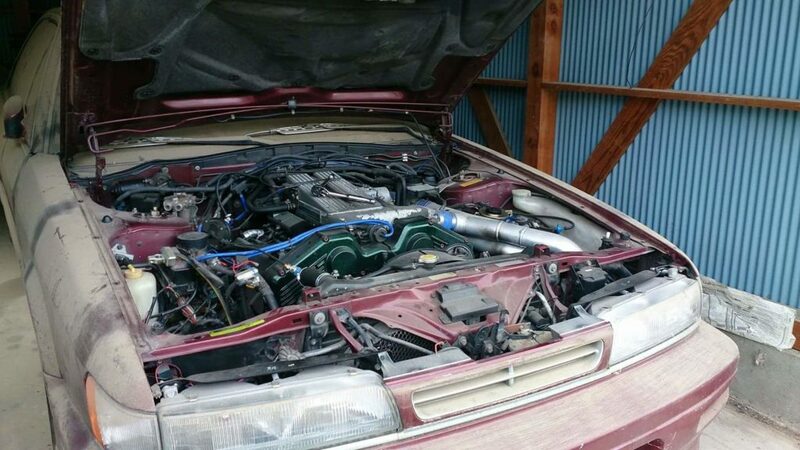 Although the VG30DE was technologically superior to the SOHC engines, the NA’s power output of 185HP was still eclipsed by the Soarer’s 3.0L DOHC turbocharged 7MGTEU (232HP). VG20E – The VG20E stayed in the line-up with the XJ and basically remained unchanged for the life of the Leopard. VG20DET – The XS kouki model Leopard gets an all new turbocharged DOHC 2.0L V6 putting down impressive numbers for its time. 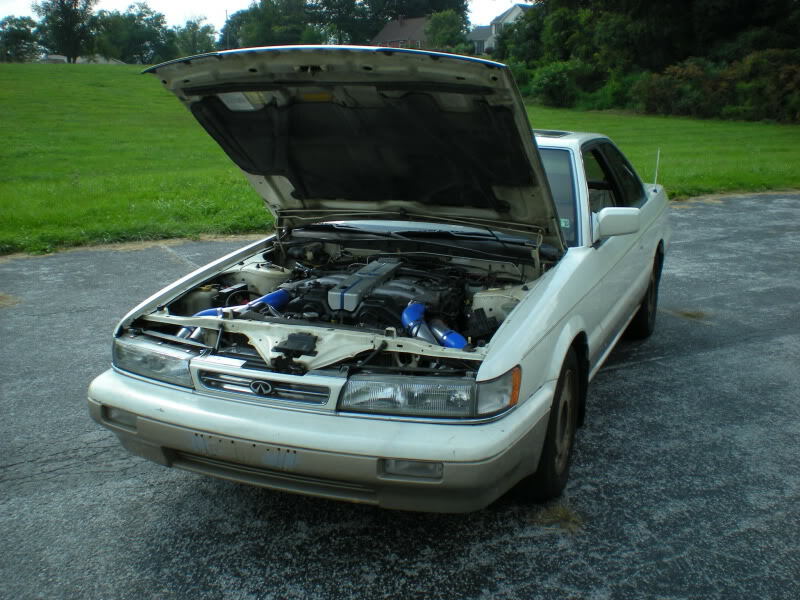 This motor debuted in 1987 with the Nissan Cedric and Gloria. The output varied depending on its inclusion of an intercooler, but it was generally thought to have a maximum output of 210HP. The technology of the motor gets a major boost with variable valve timing and a high flow ceramic turbo. They engineered the housing and rotor to be optimally combined with the latest turbine technology called CNR-1. What they were able to create was a turbo that could perform at the same capacity of a much larger turbo. 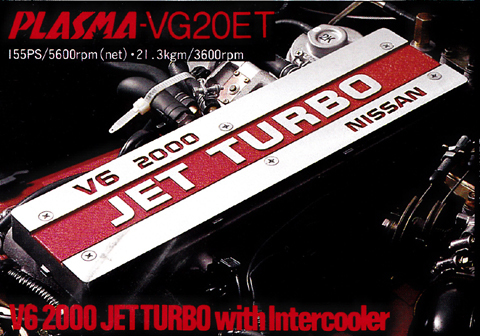 The year after the VG20DET was released, the turbo was fit with ball bearings, just as the RB series had. This motor also came in the Y31. The ball bearing turbocharged VG20DET withered away after the Leopard saw its end in 1992. 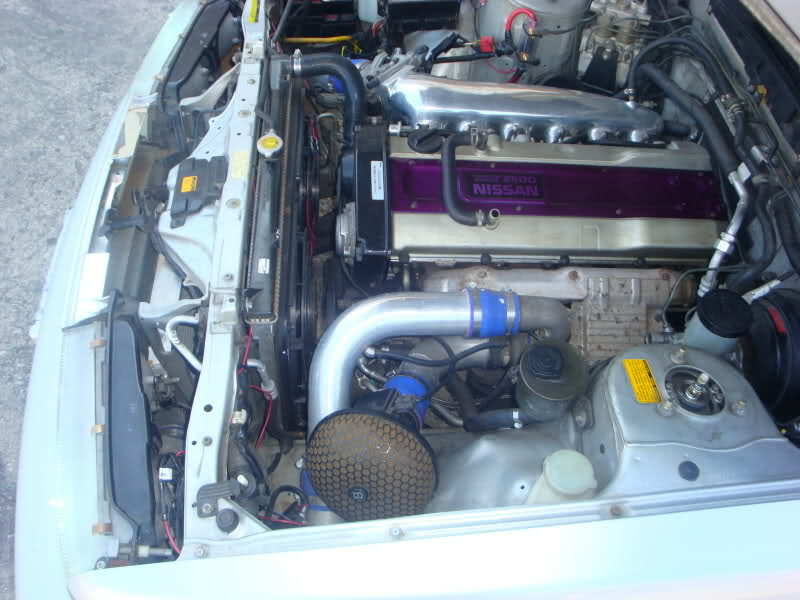 VG30DE – The Kouki Ultima model also came with this twin came engine. A 15HP increase takes the max output to 200HP. This Leopard is fitted with dual-exhaust in contrast with the previous model’s single exit. 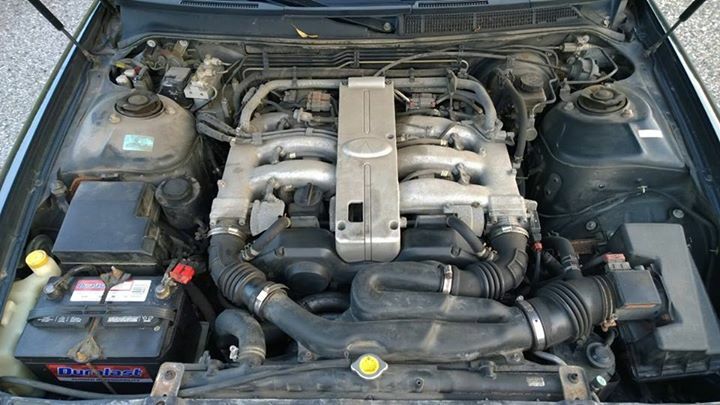 This engine has a more linear acceleration, resulting in a quicker car. VG30DET – The Ultima turbo model is fitted with the top of the line VG30DET. Initially in the Y31 Cima in 1988, this motor made its way into the Leopard lineup. By simply turbocharging the already beefy VG30DE, you are left with a powerhouse that screams performance. This is the “ultimate” Leopard powerplant. But a powerful engine is not everything when it comes to performance. The Leopard and Cima’s Achilles Heel was its suspension. The strut symmetry was poorly engineered, thus giving the Y31 and F31 a lackluster balance. With a total output of 255HP, this was the most powerful engine on the Japanese Domestic Market until the release of the VG30DETT (280HP) which came with the Z32 Fairlady Z. Although Nissan’s current production of V6 engines have moved to the VQ series, if one is to ask about V6 engines in Japan, one is implicitly implying the VG series. 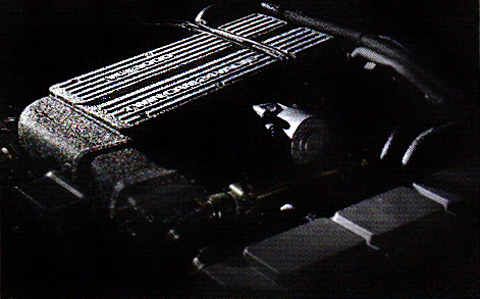 The VG30DET engine is also known to be a rather compact engine in the sense that it’s as long as a four cylinder engine. In a way, it can be thought that the VG30DET was ahead of its times because it came out in a time when inline 6 engines were at its peak, but today the V6 has made a comeback. VG30E – The VG30E was supplied to the Infiniti M30 coupe and convertible. A 3.0 Liter Single Overhead Cam V6 that produced 162 horsepower and 180 lb·ft of torque. I believe it was mentioned that this motor was a balance between power and luxury. The M30 was a stopgap model and the focus/production was on the Q45. This is believed why the Leopard motor, VG30DE, was not used. 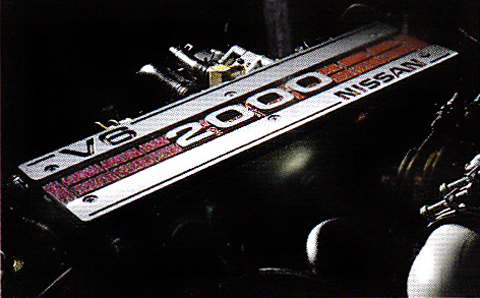 Other Nissan models used the same VG30e, so in a move to possibly save money, the M30 was meant to be cost effective in production. Some automotive journalists have critiqued the VG30e as underpowered for a heavy car (3300 to 3500 lbs), while early articles praised the VG30e as responsive. In North America, this motor was fitted in FWD Nissan Maximas, Nissan 200sx V6 versions and 300zxs of the early to mid 80’s as well as a few other models of vans and trucks. VG30DE – The American version that was offered in the Infiniti J30. 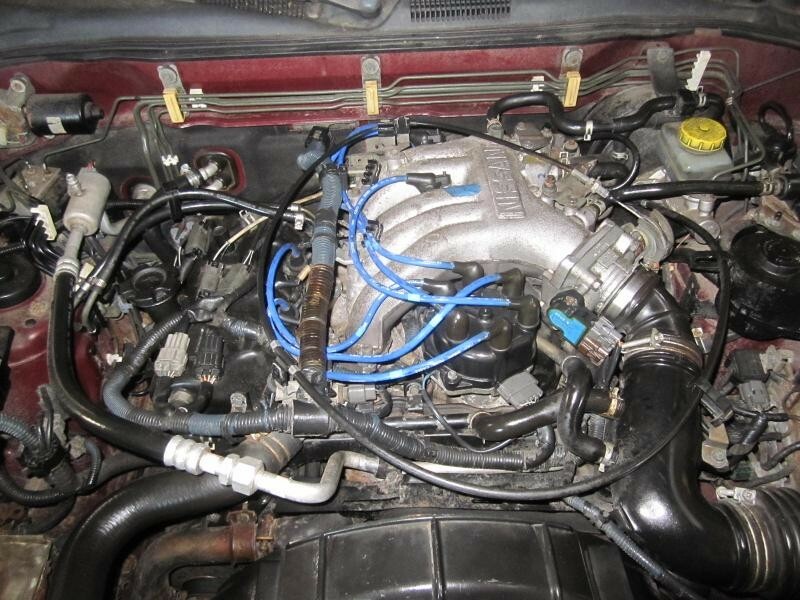 It has a different intake manifold than the Japanese VG30DE, so I wanted to mention that. I have not seen this swapped into an M30. This motor produced 210 horsepower and 192 lb·ft of torque. Update 2017 – Mike. 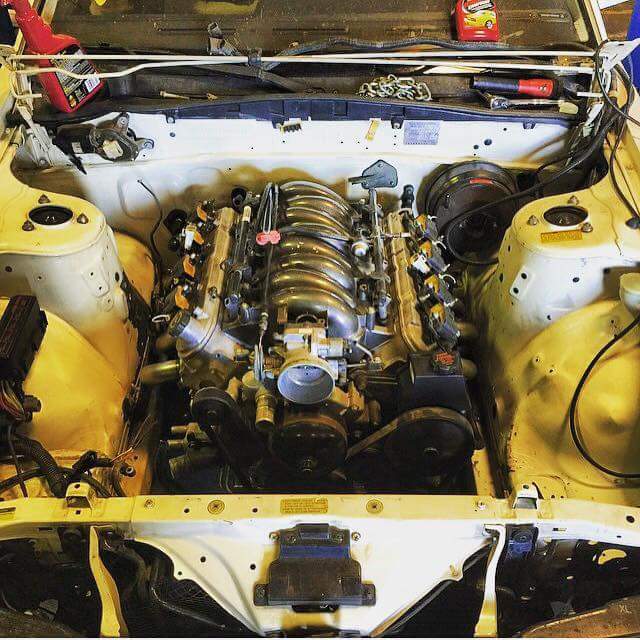 M has put in a JDM 300zx VG30DE motor in his M30. VG30ET – This variation was available for the Z31 300zx. The 3.0 L (2,960 cc) . The US version produced 197 horsepower and 227 lb·ft of torque. 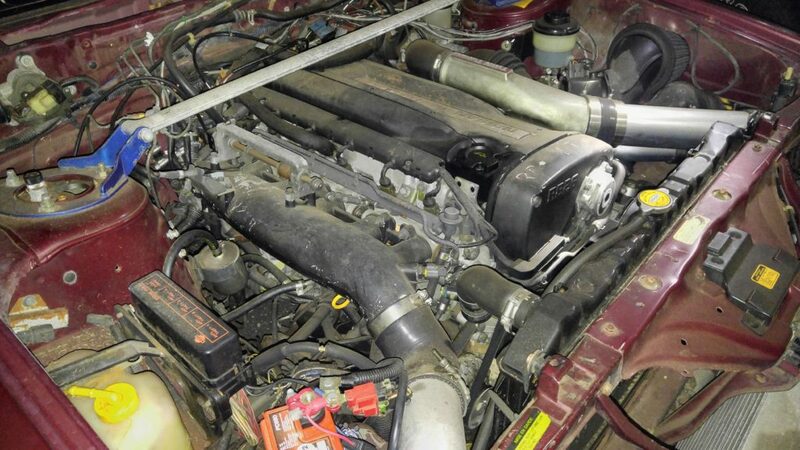 This motor has been tuned by the Z31 here in the US. This has been swapped into the M30. There has to be a relocation for the turbo because of the steering rack. VG30DET – While this does come in the kouki leopards, I should say for it to be swapped in an M30 is interesting! 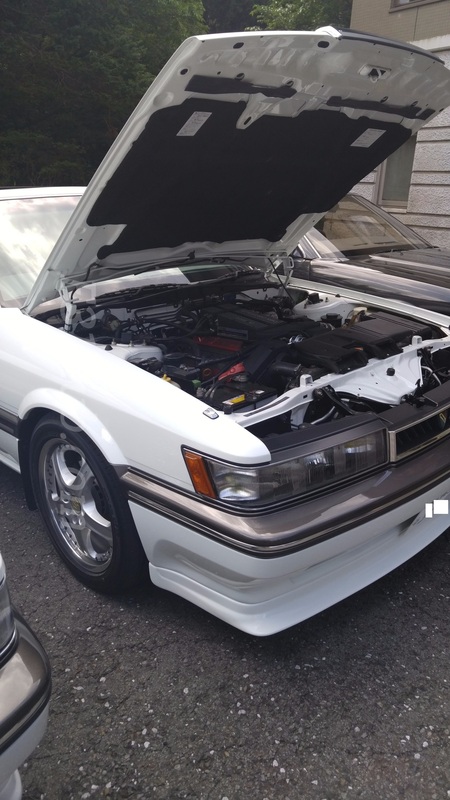 Watanabe-san has a 1990 Infiniti M30 and has a VG30DET swapped. 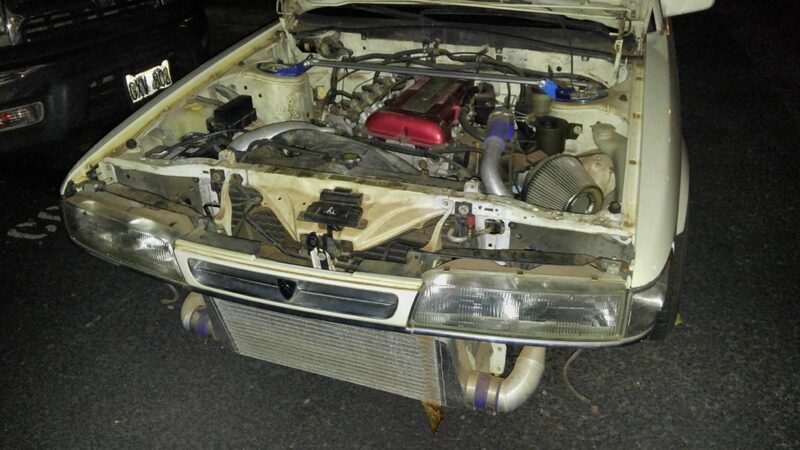 VG30DET – Another swap I found interesting and of course in Japan, was the DET swap in a Zenki Ultima. Again, people outside of Leopard understanding don’t realize that Zenki Ultimas were all NA. Fujii-san’s Zenki Ultima has a Kouki Ultima Turbo engine swapped. It is worth mentioning as it is a swap. VG30DETT – This motor was offered in the Nissan 300zx (Z32). It was rated at 280 horsepower and 283 lb·ft of torque. This motor was also developed when the RB26DETT was. 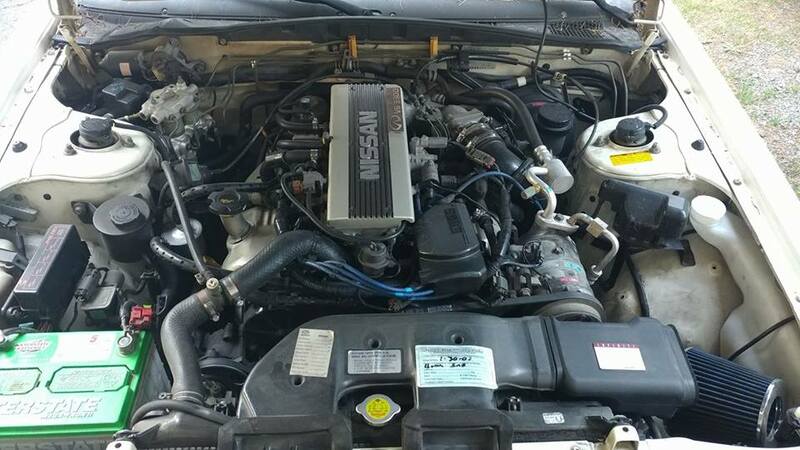 It is amazing that Nissan made both an Inline and V6 Twin turbo engines in the same era. Daniel’s VG33 powered M30 convertible. There are some minor details for the swap. VG33ER – The 3.3 L is a supercharged version of the VG33, and produces 210 hp at 4,800 rpm with 246 lb·ft of torque at 2,800 rpm. This is found in Nissan Xterras and Frontiers. 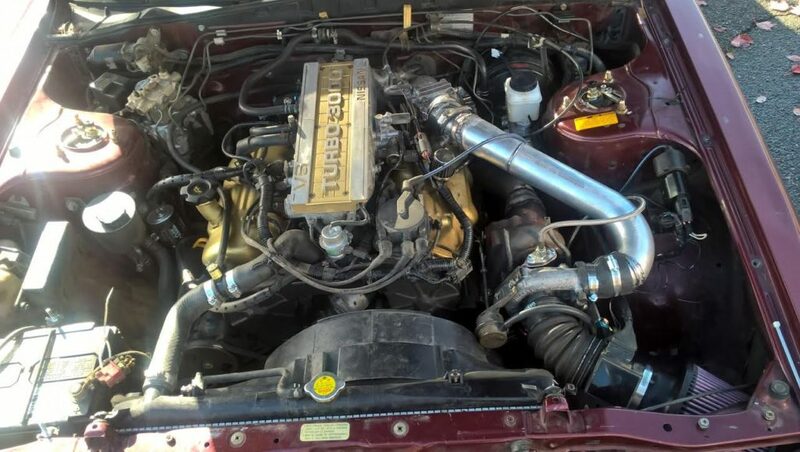 They have been swapped into S12 200sx and Z31 300zx. This has not been done on an M30, but has always been an idea. The Supercharger obstruct normal hood clearance, so the hood must be cut. VG33 Supercharger on Gary’s M30. Not installed. KA24DE – The 2.4 Liter Dual Over head Cam 4 cylinder produces 155 horsepower and 160 lb·ft of torque. Many came from the Nissan 240sxs that have been swapped. Since many people swap these motors out for the SR20DET, the logic is that these motors are plentiful and basically cost effective. I have only known 2 people to swap this motor in Jason and Garret. 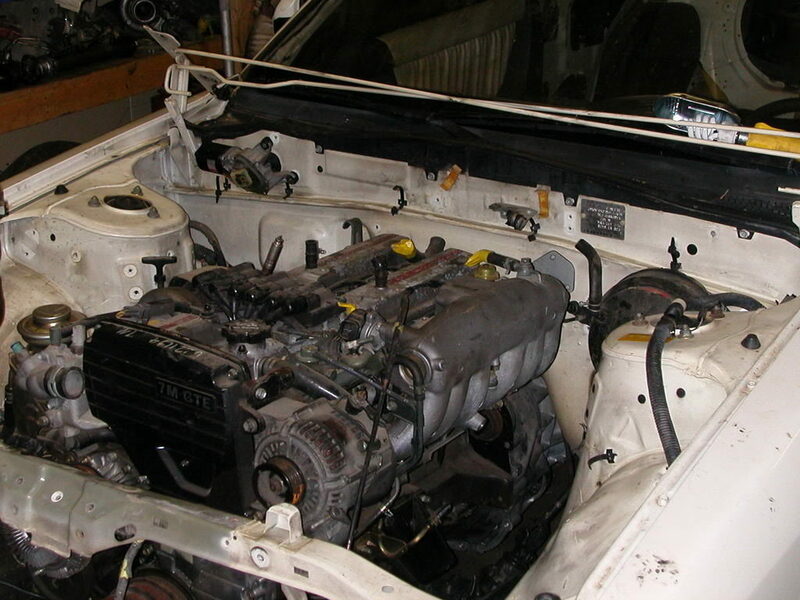 SR20DET – Depending on which engine you get (Red top, black top…etc) there are power and torque differences. The horsepower range from 205 (red top) to 220 (black top). 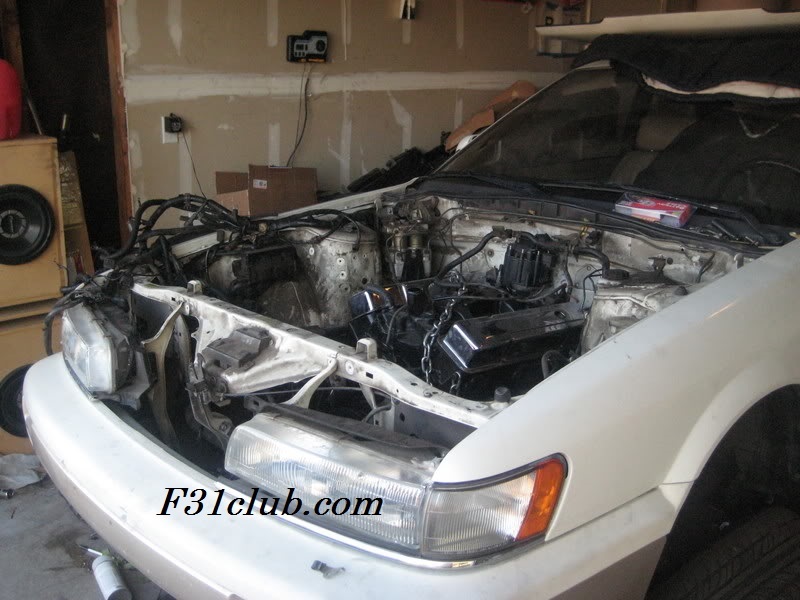 This was a favorite motor swap for 240sx fans and the R&D has been done for this motor. There are ways to tune this motor because of the aftermarket for them. The RB engine series are Straight inline 6 layout. 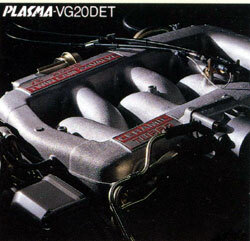 The RB20DET came in a few vehicles vehicles, most notably in the R32 skyline, A31 cefiro and C33 Laurel. Twin-cam turbocharged 211 horsepower and win-cam turbocharged 264 lb·ft of torque. The RB25DET was offered in the R33/34 Skyline, C34/C35 Laurel, Cedric, Gloria, Stagea and Y33 leopards. 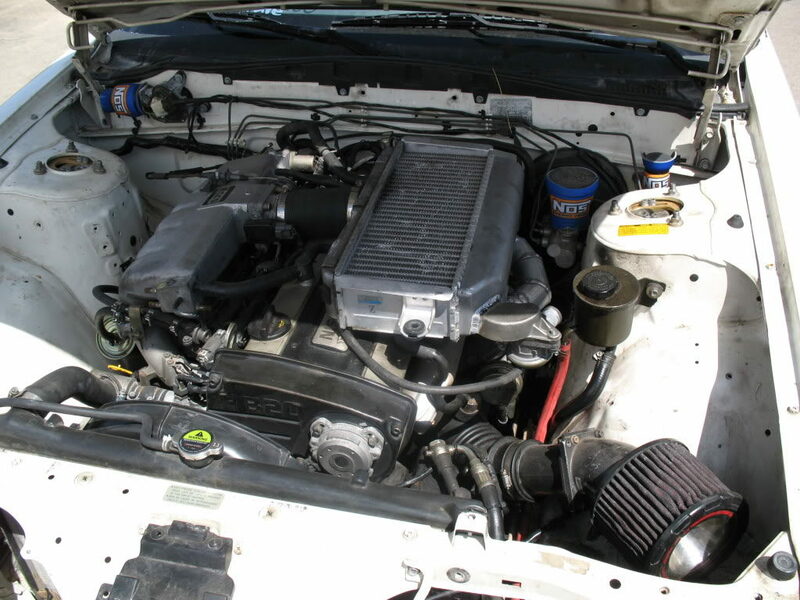 The 2.5 liter twin cam inline 6 produces 245 to 250 horsepower and 319 lb·ft of torque. 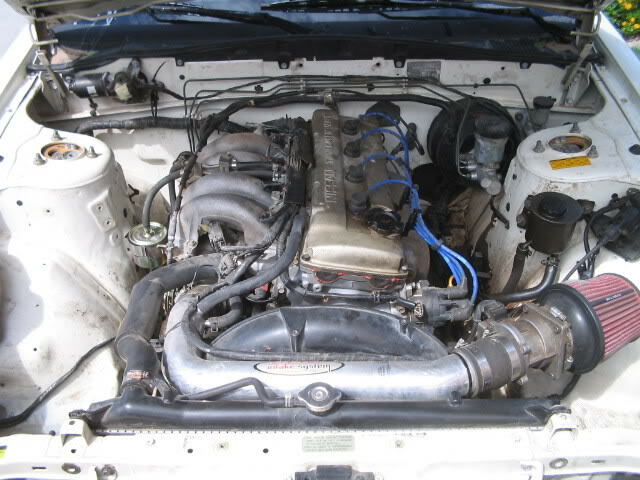 The RB26DETT was offered in Skyline GT-Rs mainly, other cars that were offered with RB26DETT were specially tuned cars from Nismo or Autech mainly. 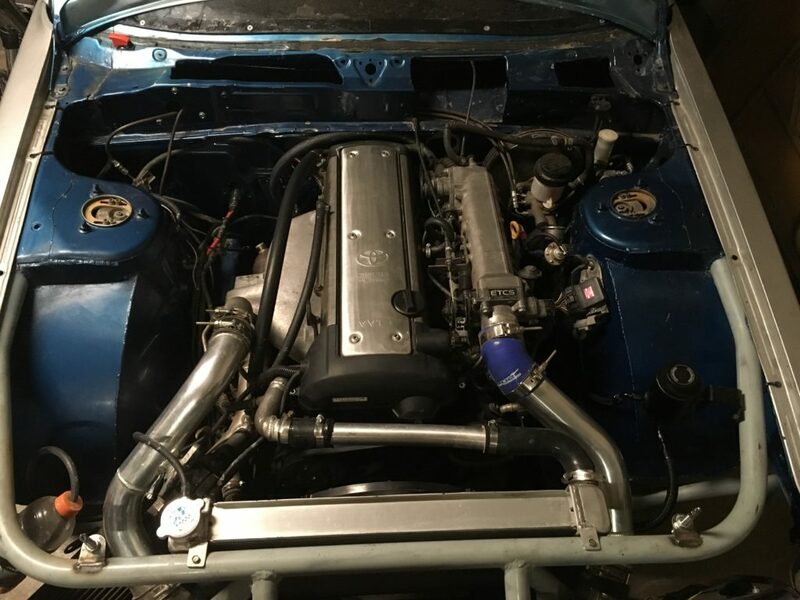 This 2.6 twin cam motor is twin turbocharged and produces 276 horsepower and 260 lb·ft of torque. RB20DET in Garret’s old M30. L28ET – The 2.8 inline 6 turbocharged engine produced 180 horsepower and 203 lb·ft of torque. It was found in the S130, Datsun 280zx turbo. American tuning has always been about the V8s and muscle cars. It is not a new concept to put in a V8 into other cars as it has been happening since the 70s to present times. The motors have changed to more powerful fuel injected V8s such as the LS, LT and LSX. The JZ engine family from Toyota is also a tuning favorite. 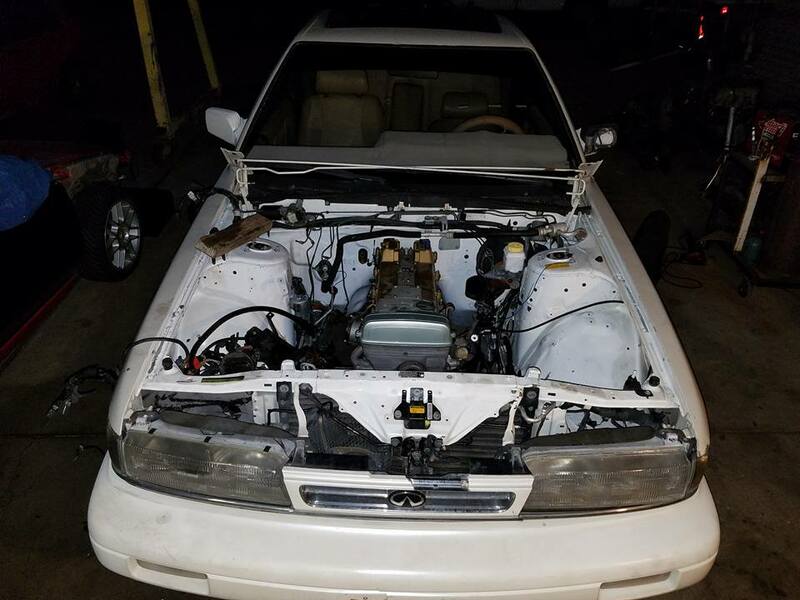 I believe both 1JZ and 2JZ have been swapped, but this is a picture that a member had sent me. The 1JZ came in many Toyota sedans, such as the Mark II, Cresta, Chaser, Altezza and Crowns. But it is know for being in Supras and Soarers too. With those powerful cars named, the tuning can be just like an RB engine, limitless. 1JZ in Bob’s track M30. Here is a 7M-GTE. Donavon swapped in the 7M. I don’t know if he got it running as he put in a JZ engine shortly after.